Having the right balance of your calories makes a huge difference. It balances blood sugar, satisfies hunger, provides healthy fats, and gives you vitamins and minerals. 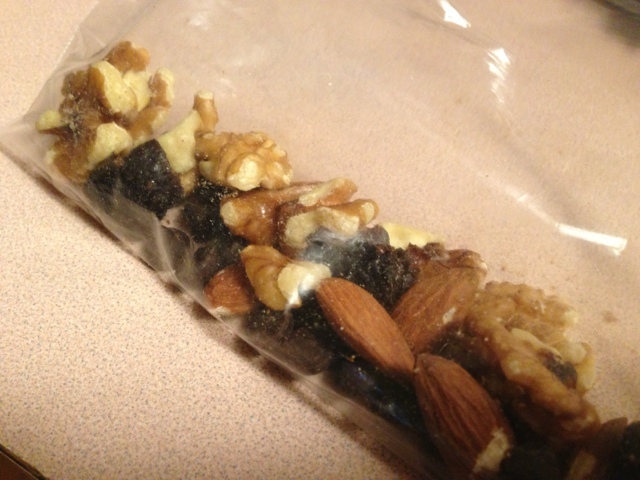 So here’s a couple snacks that provide that and you can make them ahead of time for a week or a couple weeks. 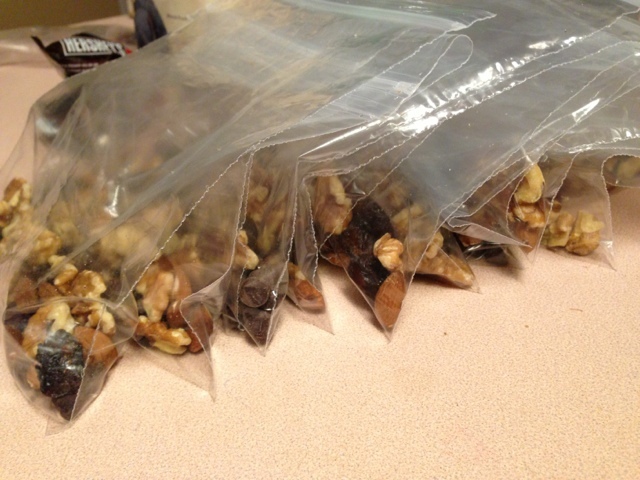 Pull them out when you are hungry or pack them in your bag before you leave home. I’ve already done all the work for you so you can easily follow my directions. Eating several times a day helps with speeding your metabolism and balancing blood sugar levels. It’s what fit people do so I know you want to be fit too! Do what fit people do and you’ll become fit. 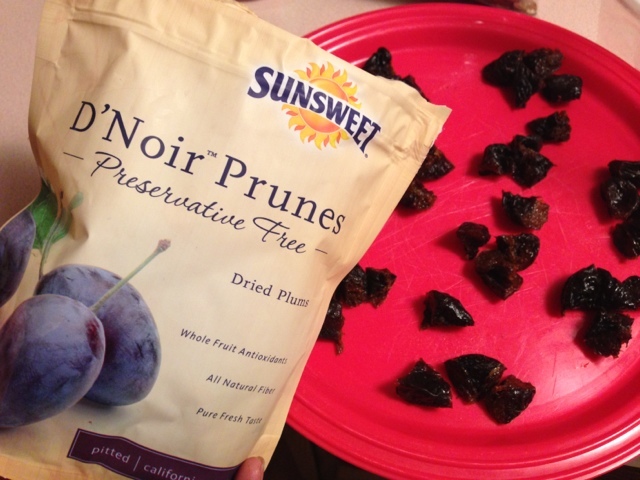 These snacks provide a healthy amount of calories between 200-300 for a snack. 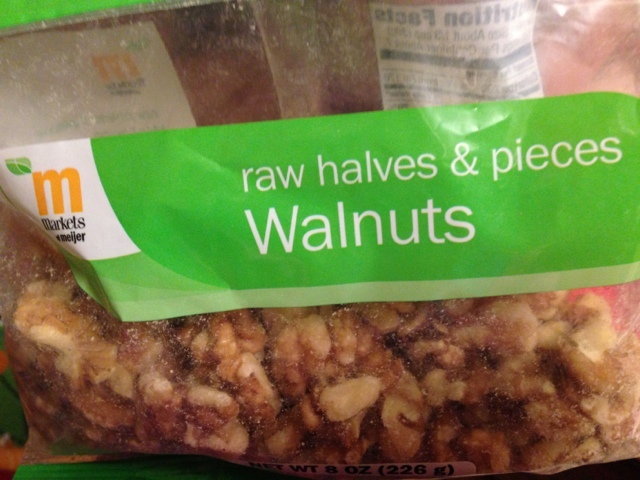 They have healthy fats which we want so don’t be worried if you are afraid of eating a little more fat. The “low fat” era actually did more harm than good and we are worse off now than before because it ushered in so many harmful processed foods. If we are eating whole foods that contain some “higher fat” don’t worry because it is actually not going to make you fat (I once thought it would too). I chose dark chocolate because it’s good for the heart, brain, helps control blood sugar, full of antioxidants, it’s high in vitamins and minerals such as potassium, copper, magnesium, and iron. It also contains theobromine which hardens tooth enamel which lowers your risk of getting cavities. 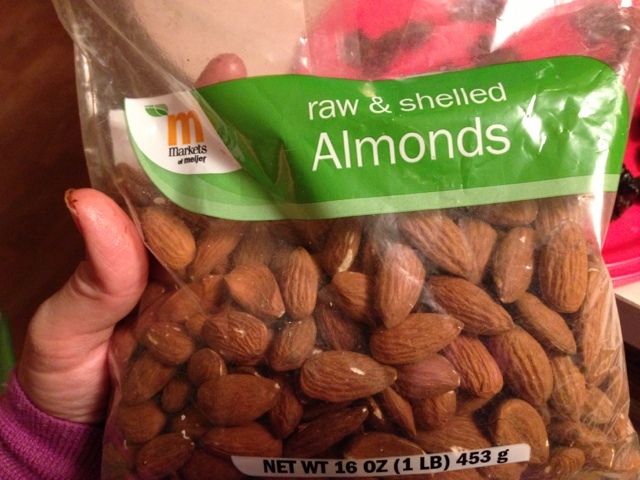 You just can’t really go wrong with these snacks when you have lists upon lists of health benefits! This next mix is perfect for my father who is a diabetic and has to have snacks available for his blood sugar if it goes low on him. 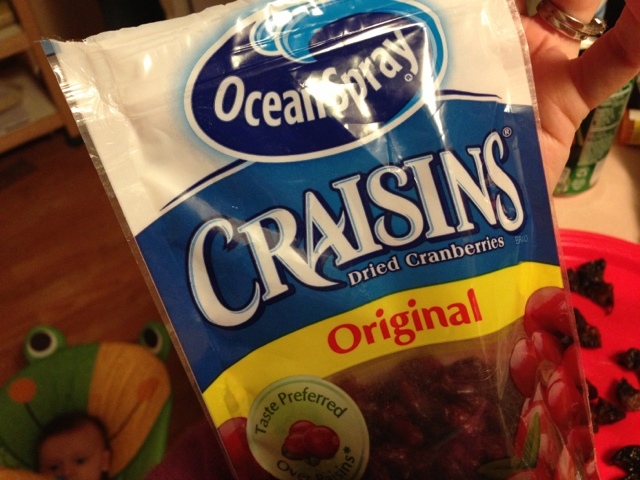 The craisins provide more sugar to bring his sugar levels up but not too high. The protein helps his blood sugar stabilize once it’s brought back up.